ELECTRONIC PRESS KIT COMING SOON! Dress to Impress! Dress Fashionable! and placed on the Industry Spotlight Mix-tape. 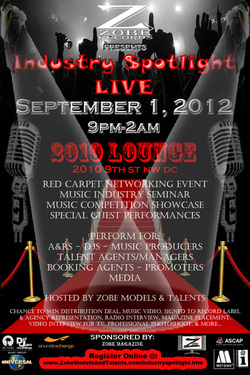 major producers, A&Rs, and record label executives. blast, sponsor clothing, merchandise, & gift bag.